I started learning Spanish in middle school, and kept studying it through grade 12. However, once I entered college, I had to take French, Italian, and German as part of my vocal performance degree. I really enjoy studying languages, and knowing the basics of these four languages has proven invaluable time and time again when I travel. One of my New Year’s resolutions this year was to get back into my language study. I realized that I visit Spanish speaking countries the most often. In fact, I am in Mexico as I write this! 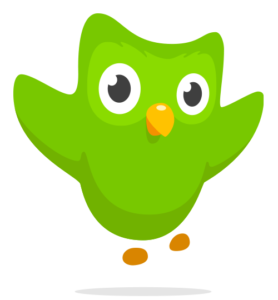 I wanted to brush up on my Spanish, but wanted to do it affordably and quickly. Nothing is worse than not being able to communicate with the people around you. Even if it’s just to ask how much something costs, to order food at a restaurant, or ask for directions. I’ve used Rosetta Stone, and I find DuoLingoto be a close second to that. You can choose a wide range of languages to study, and I’ve used this app to study Spanish, German, French, and Italian with good results. It starts you with basic words and phrases, and works you through a structured series of digital lessons. You can use your microphone to repeat phrases, so you practice saying words out loud. I often struggle because I know words, but am shy about saying them out loud for fear that I will make a mistake. One thing I love about DuoLingo is the new bot feature, where you can have a conversation with a virtual waiter, shopkeeper, or travel agent. You can practice using new words and phrases without fear of judgement from strangers. Of course, there are upgrade options available within the app, but I typically don’t purchase extra “points” to play. If I make too many mistakes and it boots me out of the game, I will wait until the next day, when my game life is refreshed. DuoLingo isn’t perfect, and occasionally you will find yourself stringing odd phrases together just for the sake of practicing vocabulary. But all in all, it’s probably the gold standard of free language apps. 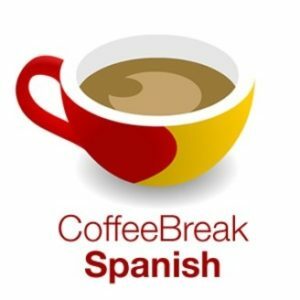 I just started listening to the Coffee Break Spanish podcast, and I have to say, it works. The instructor, Mark, breaks down words and phrases into digestible segments of 15-20 minutes (approximately). It’s easy for me to take in a lesson as I walk into town or ride the train. The hosts, Kara and Mark, are Scottish, which I personally find charming. The lessons are slightly geared more towards the Spain-dialect, but they offer variations in the Latin America dialect. I think they’ve been doing this podcast for 10 years, so there is plenty of learning for me to catch up on! Since I am in Mexico now, I have a chance to practice some of the phrases I’ve learned on the podcast, and they have been spot on. The Radio Lingua network also offers podcast lessons in French, Italian, German, and Chinese. There are also upgrade options available with Coffee Break Spanish, and you can purchase things like flash cards and video lessons. But this additional option is never a hard sell from the hosts, and there’s no pressure to buy if you just want to enjoy the podcasts. Overall, this is an excellent resource for those seeking to improve their conversational Spanish. Italki is an amazing site where you can find professional language teachers (paid) or language partners (free). There’s also a robust discussion forum where you can practice writing in your new language and native speakers can chime in with edits and suggestions. 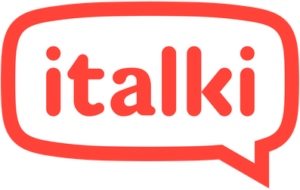 I’ve only used Italki to find professional language tutors online. I am working with a teacher now who is excellent. She is located in Peru and is a native Spanish speaker and fluent English speaker. We are able to communicate in both English and Spanish, which is especially helpful for when she needs to explain nuances of Spanish or to teach me new words. I have taken group Spanish classes before, but they can be difficult if there are more advanced or beginners in the class. I love Italki because every lesson is specifically tailored to my own progress, and I am the only student. I Skype with my teacher, and it’s been working out splendidly. She sends me assignments and new vocabulary each week, then we discuss it in our sessions. 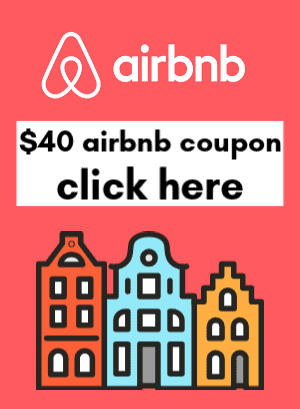 If you’re interested in community tutoring, you can link up with someone who is a native Spanish speaker who wants to trade with you to learn English. These sessions tend to be more practice based and less focused on grammar and learning new words. Maybe once I am more comfortable with my skills I will add in a language partner, but for now I prefer to pay for a professional resource and individualized learning. Either way, practicing with an actual person is the best way to get comfortable with your new language, so it’s important to practice speaking as often as possible. 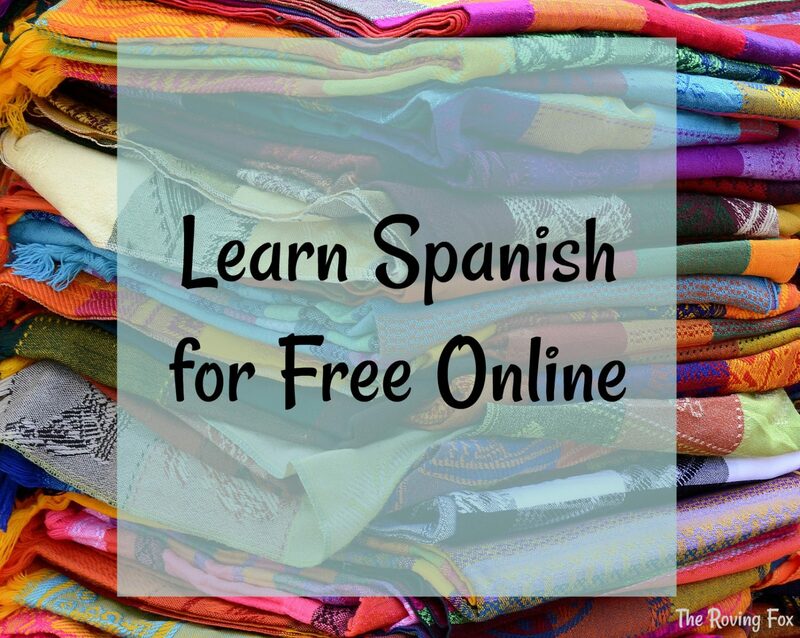 I hope these resources help you get started on your language journey so you can learn Spanish online for free! Let me know if you have any favorite apps or online resources! And read up on my travel tips for Cancun, Mexico!